Only if you were marooned with the cast of Lost for the past two months, could you have missed Adobe’s marketing machine promoting the release of CS5. Streaming live events, YouTube videos, Adobe Road Shows, web teasers, and even old school magazine and press releases … Adobe plastered everything. After all, Adobe needs the sales from CS5 to rebound from lackluster sales of CS4. Maybe increasing the price of the CS4 upgrade during a recession wasn’t such a good idea … hmmm? For many, the big release is Photoshop CS5, but there are major upgrades across all of the Adobe programs. For me, I was torn between upgrading to the CS5 Web Premium Suite and the CS5 Production Premium Suite. I ended up jumping in with both feet and upgraded to the CS5 Master Collection. For me, the numbers made sense. Back when I first started with the Canon 7D and HD-Video, I considered getting the CS4 Production Premium Suite. Since I would have been upgrading from an old stand-alone copy of Premiere, the cost was high. I also considered jumping into the CS5 Master Collection at that time, but Adobe can be really ridiculous with their upgrade pricing. Even though I had already upgraded to the CS4 Design Premium Suite, Adobe gave no additional discount for upgrading further to the CS4 Master Collection. Essentially, I was loosing the money that I just spent to upgrade to CS4 from CS3! Very annoying! But, this time, I beat Adobe at their own game. Last week Adobe announced that CS5 would start shipping on April 30, 2010. 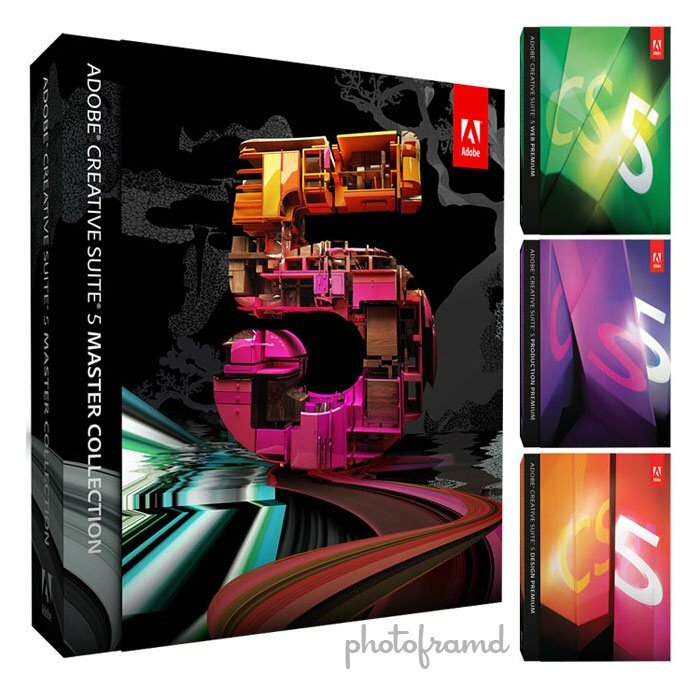 On Monday, April 26th, I placed my order for the CS4 Master Collection instead of the CS5 Master Collection. You see, Adobe increased the cost of the CS5 Master Collection by $100. But, by buying the CS4 Master Collection within 30 days of the new release, I was guaranteed of getting the CS5 Master Collection for FREE. But wait, it gets better! As a NAPP member (Photoshop User), I am entitled to a discount on Adobe products when you purchase direct from Adobe. The current NAPP discount on CS5 is 15%, but the NAPP discount on CS4 was still 20%! So, you put it all together, I saved almost $350! It still annoys me that the Adobe Master Collection does not include Lightroom. Does that mean Lightroom is not worthy of going to the Masters? Hey, if Tiger Woods could get in this year, why not Lightroom? My guess is someone at Adobe really wants to finally combine Lightroom and Bridge into one product. But, that would make too much sense even for Adobe. NOTE: If you are a student or teacher (or have one in the family), you can save up to 80% off the price of the Adobe Suites or Master Collection by buying direct from Adobe. But, you must be able to supply proof of your educational status. One reason not to get more CS product than you require is there is no upgrade possibility to drop parts of the bundle you don’t want. You are stuck with very expensive upgrades for products you over purchase. You are better to stay with minimum requirements or even to buy one or two packages separately. I purchased Photoshop CS3 extended in a design bundle, now if I want to go to Photoshop CS5 it will cost $800.00 rather than $200.00. I like the paint feature for occasional use but not at $800.00. I have been very critical of Adobe just for that reason. I knew when they merged with Macromedia that it would eventually inflate the Suite price. And, it still annoys me that every other major title is in the Master Collection except for Lightroom! It is absolutely ridiculous that Lightroom is not included in the Master Collection! Photoshop is for photographers just as much as web designers and video editors; so why skimp on the folks who take photos?? Totally backwards. If we’re going to use Photoshop for our images, we also need a decent image management system. It makes no sense that Photoshop Elements has a basic photo management system, while a professional package like the Master Collection does not! There are things about Adobe that just annoy me. Not including Lightroom in the Master Collection is one of them.